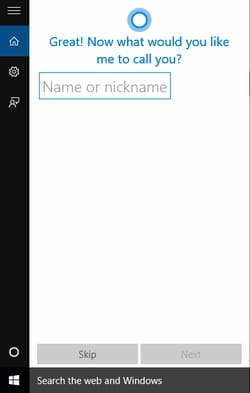 This tutorial explains how to enable and configure Cortana, your personal assistant on Windows 10. Cortana is a personal assistant that made its first appearance on Windows Phone 8. 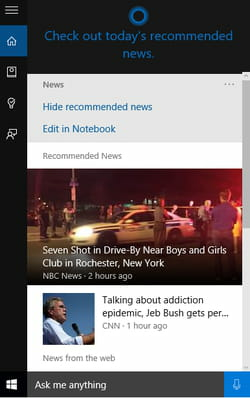 It has been integrated to Windows 10 (replacing Bing Search) and will soon be made available for the Xbox One console and Android devices (app). 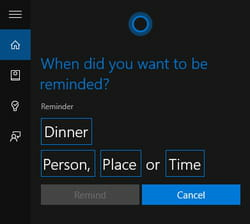 Cortana's natural language user interface allows users to ask their questions using a natural language. 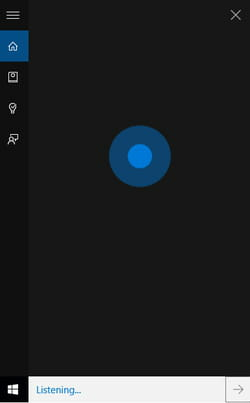 You can, for example ask Cortana for weather information, the latest scores of your favorite sports teams, traffic info... and it will fetch the information online (Bing SmartSearch). 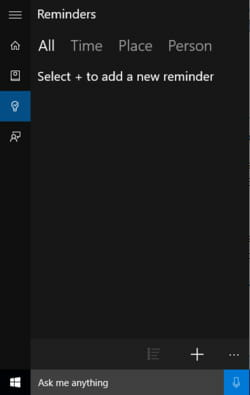 Cortana also allows you to interact with your device using voice commands, set reminders, send emails and much more. That's it; Cortana is now available on your PC. 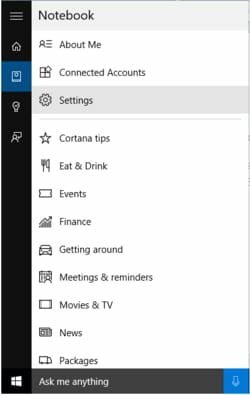 You now have all the basics covered and are ready to use Cortana. Published by jak58. Latest update on August 20, 2015 at 07:10 AM by jak58. This document, titled "Windows 10 - Cortana Tutorial," is available under the Creative Commons license. Any copy, reuse, or modification of the content should be sufficiently credited to CCM (https://ccm.net/).